Click HERE to complete the membership application and pay online! This is your chance to be involved in building your state organization, advocating for your profession of Occupational Therapy, strengthen your clinical skills, forming new alliances, and volunteering to help others who need it the most. 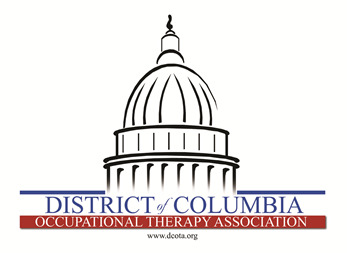 DCOTA is committed to is mission to act as an advocate for occupational therapy services to support the health of the public in Washington, DC; to improve and advance the education and qualifications for occupational therapy; maintain standards of performance through continuing education; foster research and study in occupational therapy and; engage in activities that further the dissemination of knowledge of occupational therapy. Discounted rates for continuing education seminars sponsored by DCOTA, receives communication from AOTA and DCOTA, may attend regular & called meetings of the Association, receives a copy of the Bylaws and receives CEU's for Town Hall meetings. We need your input! This cannot be an exceptional organization without your participation. Join with a friend... what are you waiting for?